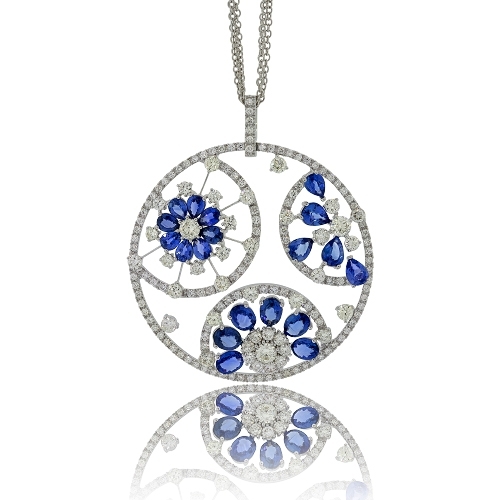 Open pendant with a floral design set with fancy blue sapphires & brilliant white diamonds mounted in 18k white gold. Diamonds approx. 3.84ct. Chain 16"